Dub Dub Dub 2006 | O'Really? The 15th International World Wide Web conference is currently underway in Edinburgh, Bonny Scotland. As usual, this popular conference has some good papers, only 11%* of submissions are accepted. 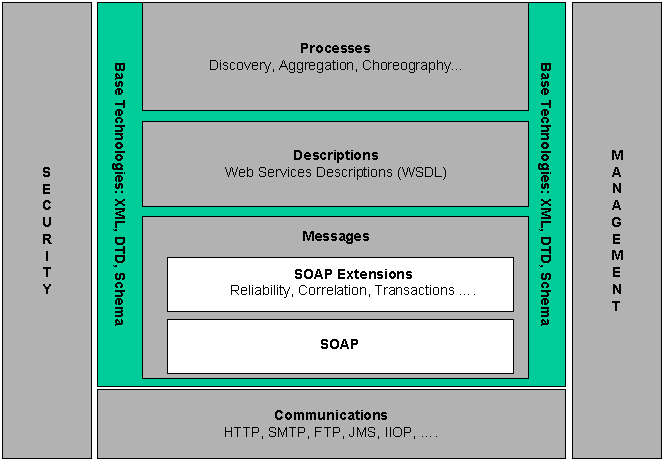 One particular paper caught my eye: One Document to Bind Them: Combining XML, Web Services, and the Semantic Web. This paper has probably been selected because it will wind people up (sorry I mean “spark a debate”) so its an entertaining and sometimes enlightening read. The Semantic Web stack and Web Service Stack, are a long long way from the web of everyday users, or to put it another way, there is too much theory and not enough practice. The combination of the first two, gives us Semantic Web Services which are typed functions. This allows us to invoke web services not just by their URI (e.g. http://xml.nig.ac.jp/xddbj/Blast for a Blast service), but by the type of information they have. E.g. you have an output of type BLAST_report or perhaps InterProScan_report, what services will take this as input? What operations can be performed on this data? This sounds a lot like BioMOBY, with bells on. What Harry and Henry propose is tying all this together using a single XML vocabulary, called Semantic fXML, to put “a unified abstraction of data, types and functions” so that the web can compute. This is all a bit pie-in-the-sky vision of the future stuff, but what might it mean for your average bioinformatican? It would be seriously useful if we could make the current molecular biology web services easier to use, but agreeing on and using an ontology for annotating the types of the inputs and outputs of all the services is non-trivial task. Bioinformaticians already have a (somewhat limited) universal type system for describing all data in bioinformatics, its called string. Persuading them to use something more powerful is not easy unless the benefits are immediately obvious. At the moment, it is difficult to tell if sfXML will ever have any impact on bioinformatics but who cares? Despite this, the paper is enjoyable reminder of what is interesting about services on the Web. They transform the web from a place where we can merely search and browse for data (sequences, genes, proteins, metabolic pathways, systems etc), into “one vast de-centralised computer” a bit like the one described in can computers explain biology? This, in my humble opinion, is what makes the web and bioinformatics an exciting place to work in 2006. * Footnote: Of nearly 700 papers submitted: only 81 research papers were accepted (11%). This is a 25% increase on the number of submissions last year to www2005 in Chiba, Japan.